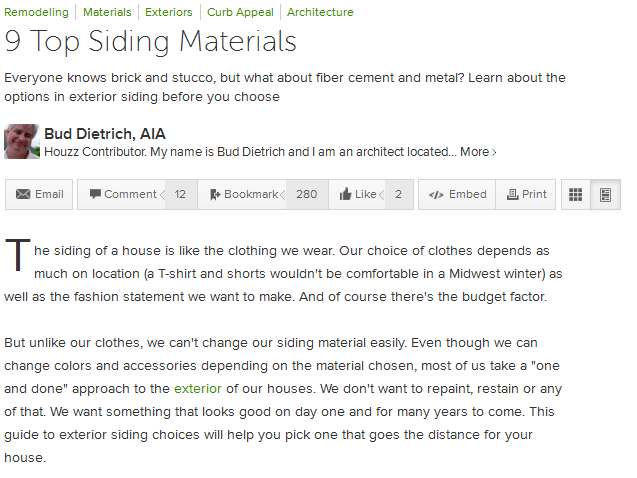 Bud Dietrich, an architect and Houzz Contributor, compared house siding to the clothing that people wear. Just as our preferences in clothes usually depends on our location and the fashion statement that we want to make, so do the local climate and the look we want for our houses influence our choice of siding. In both cases, budget is also a factor. 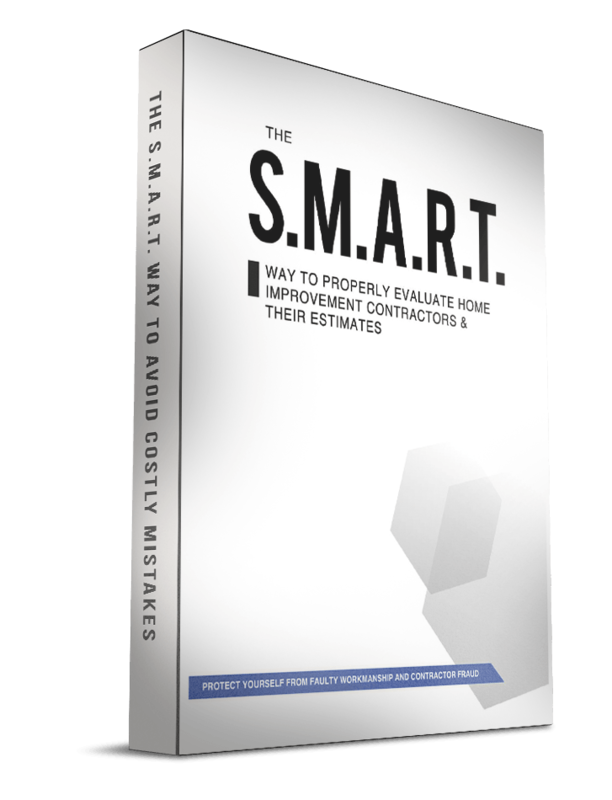 Most homeowners are delighted by the idea of “one and done” approach when choosing the exterior of their houses. The rationale behind this is simple: they do not want to go through the inconvenience of repainting and amending any sign of deterioration. 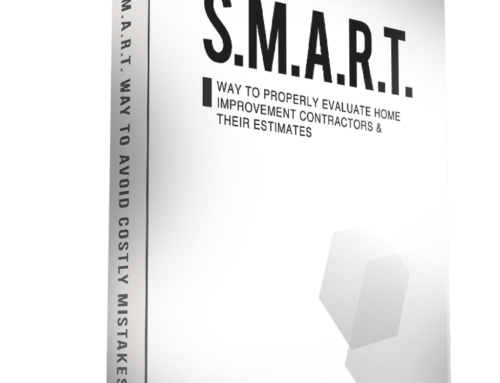 Everyone wants to have an exterior that can survive for many years, and this is what most Milwaukee siding companies look into when they assess their customers’ needs. 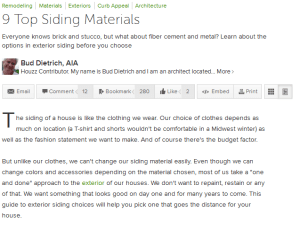 In an article for Houzz.com, Dietrich provides a guide to exterior siding choices to help homeowners pick what is best for them. Horizontal lap siding is one of the most popular ones; it can be made from wood, aluminum, vinyl, or fiber cement and typically fits a colonial or traditional home. On the other hand, board and batten siding is available in wood and fiber cement, and suits traditionally-designed homes. Shakes, popularly known as shingles, are available in vinyl, wood and fiber cement and look good on traditionally-designed homes which feature shingle and craftsman aesthetics. Wood strip siding is generally installed in a tongue-and-grove configuration and it requires a continuous waterproof membrane behind it to prevent water from damaging your home. Fiber cement panels, in contrast, have large sheets of fiber cement panels which create a contemporary or Prairie-style home. Stucco is the best option for exteriors with vast surfaces and simple geometries and it is available in natural or synthetic form. Its texture ranges from fine to coarse, however it is best utilized if you want to minimize surface shadows. It also suits a lot of home styles but it is often linked with the Southwestern Spanish colonial style. Another ideal siding material is brick; it’s durable, requires less maintenance, and comes in various colors, textures and patterns. Metal is the least common material but it can also be a good choice for siding, more so if you are after the contemporary look. Guardian Exteriors is one of the leading providers, as they carry a large selection of siding in Milwaukee.